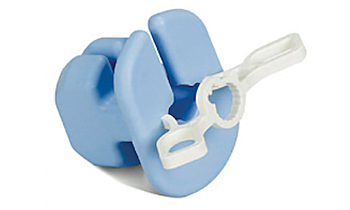 The TubeGuard’s main body is composed of soft, medical grade silicone, ensuring an atraumatic and comfortable interface with the patient’s mouth and face. 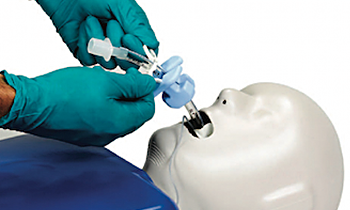 The device’s clamp is constructed from durable glass-filled nylon and engineered to fit all adult endotracheal tubes (sizes 6.0-8.0mm I.D.). The TubeGuard surrounds the in situ endotracheal tube, locking it onto the maxilla and mandible through its contact with the teeth and gums. A Velcro neck strap adds an extra layer of security, ensuring maximal control of endotracheal tube position….